Serbia’s Commissioner for Information of Public Importance and Personal Data Protection, Rodoljub Sabic, on Sunday said that some politicians have suggested that he should run for mayor of Belgrade in the 2018 local elections. "Lately I have been hearing suggestions, both from citizens and politicians, to run [for office]. I honestly haven’t considered it […] The elections are not coming up soon, and there is plenty of time to think about [running]," Sabic said in an interview for Kurir daily tabloid. Bulgaria and Romania will hold a joint governmental session in September, the respective prime ministers of the two countries, Boyko Borissov and Mihai Tudose, agreed in a telephone conversation on Monday, the press service of the Bulgarian government announced. In focus of the conversation has been the Kaynardja-Lipnitsa border checkpoint between the two countries, which is fully constructed, but is still non-functioning, as well as the bilateral partnerships on the Danube and Black Sea strategies, which are among the focus of Bulgaria’s forthcoming EU Presidency in 2018. At least 100 tourists have been forced to evacuate from a coastal area in Montenegro that is being threatened by wildfires raging along the Adriatic sea coastline, authorities said Monday. KRMG portal reported that fueled by strong winds and dry weather, the fire on the Lustica peninsula in southern Montenegro has spread near to homes and camping zones. The navy stepped in to help evacuate the area by sea, officials said. "The fire has spread over the road, an entire hill is burning," emergency official Maksim Mandic told the state Montenegrin TV. "It is impossible to put out the fire completely in such winds." Chair of the Croatian parliament Gordan Jandrokovic, finance minister Zdravko Maric and interior minister Davor Bozinovic flew to London on the government’s plane on Sunday to watch the Wimbledon final between Croatian tennis player Marin Cilic and Swiss legend Roger Federer, news site Index reported on Monday. Prime Minister Andrej Plenkovic had granted them the use of the government's plane, Index’s report said. The investigation into the April 27 rampage in Macedonia's parliament, which injured 10 MPs, has traced some of the masked assailants, sources close to the investigation say. Read more. An online petition has called for the European Parliament to sanction Bulgarian MEP Angel Dzhambazki for stirring up anti-Roma hatred. Read more. As a Japanese embassy opened on Monday in Tirana, Albanian experts expressed hope that closer ties to the Asian economic superpower would now develop. Read more. 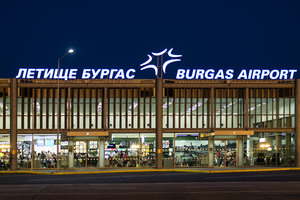 Bulgaria today marks five years since the suicide bomb attack on a tourist bus at the Sarafovo airport near the coastal city of Burgas, which killed five Israeli citizens and the Bulgarian driver, with the families of the deceased and injured having arrived in Bulgaria to take part in a commemoration ceremony at 5pm at the site of the tragic event. Meanwhile, the trial against the two suspects, Meliad Farah and Hassan El-Hajj Hassan, who are both of Lebanese origin and who allegedly helped the suicide bomber, Mohamed Hassan el-Husseini, to commit the terror attack, is still stumbling in the Special Court due to the failure of the prosecution to collect testimonies from all the Israeli families concerned. The fire-fighting aircraft Canadair contributed by Ukraine - in support to the Montenegrin authorities dealing with the forest-fires in the Peninsula Lustica - has landed in Montenegro on Tuesday evening, NATO official has confirmed. 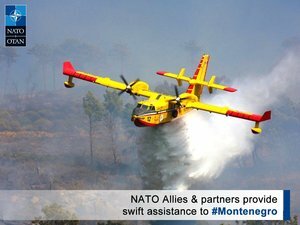 Montenegrin government asked NATO to help by sending two Canadair firefighting planes to combat blazes across the country. 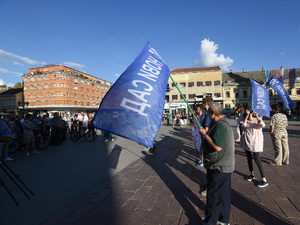 The striking committee of the workers from Fiat Chrysler Automobiles' factory in Serbia will start negotiations with Fiat, mediated by the Serbian Prime Minister Ana Brnabic, on Wednesday. The committee had reached an agreement to halt the strike on Tuesday, in order to enter negotiations with the management. A new wave of migrants crossing the Balkans in search of safety in the EU is bringing fresh testimonies of the violence and abuse that especially await women and children along the way. Read more. As internal acrimony consumes the nationalist camps, the 2018 elections could see a breakthrough by a reunited Bosnian left – transforming the country’s reform prospects. Read the comment. Watching the anniversary commemorations of Turkey’s failed coup made me remember the night fighters jets flew over my house and attacked parliament - and how hopes for a democratic advance were destroyed too. Read the blog written by a Mehmet in self-exile. Bulgarian housing prices have experienced a surge in the first quarter of 2017, only beaten by the Czech Republic, Ireland, Latvia and Lithuania among the EU countries, the European statistics agency Eurostat reported on Wednesday. 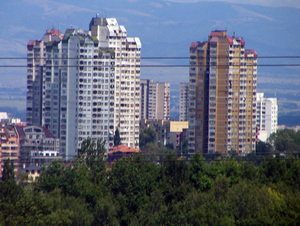 According to Eurostat, while property prices have surged by an average of 4.5 per cent in the whole of the EU, the registered growth in Bulgaria is almost double that – 8.8 per cent in Q1 of 2017 as compared to the same period of 2016. Moldova’s Prime Minister Pavel Filip announced on Wednesday that he will submit a new cabinet structure to the Parliament before the end of the week. The cabinet reform comes after changes to the law on public administration, required by for the European Union and the International Monetary Fund, were adopted by the legislative last week. 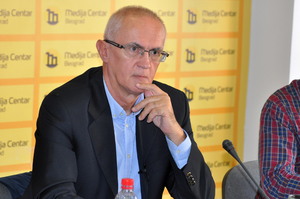 The main opposition party in Bosnia’s Serb-dominated entity, Republika Srpska, has filed a criminal complaint against the top management and the director of the entity’s public broadcaster, Radio-Television of Republika Srpska, because of bad business practices, saying it allegedly owes its employees more than 4.5 million Bosnian marks in unpaid healthcare and pension contributions. Opposition member of the entity’s National Assembly, Nedeljko Glamocak, also criticised the editorial policy of the broadcaster, saying it was “thought up in the cabinet of Republika Srpska Prime Minister Zeljka Cvijanovic”. Montenegro's government plans to offer citizenship to foreign investors who are willing to invest money, mostly in the undeveloped north of the country. The Ministry of Economy is working on an "economic citizenship package" designed for foreign investors and has called domestic and foreign consultancy firms to offer a proposal on the tender which expires this week. In 2010, the government announced initial plans to sell passports to "renowned businessmen of credible reputation" if they invested at least half a milion euros. But the project had to be suspended until the measure was harmonised with European Union regulations. The ‘good neighbourliness’ treaty between Bulgaria and Macedonia, which is expected to be signed on August 2, includes a joint history clause which envisages that the two countries will cоmmemorate historical events and people together, Bulgarian foreign minister Ekaterina Zaharieva told private broadcaster BTV on Thursday. Zaharieva added that a joint commission of historians and public figures will be formed to review history books in the two countries and make recommendations for their improvement. Hundreds of people protested in front of the Moldovan Parliament on Thursday against the mixed voting system adopted by the legislative earlier in the day. Several international forums, including the European Union and the Venice Commission, warned Moldova against changing the proportional system. Scores of demonstrators gathered in front of the Moldovan parliament building on Friday at noon to protest against the new electoral law adopted by the legislature on Thursday. The new Moldovan Electoral Code replaces the proportional system with a mixed system, which favours big parties and threatens small political factions, and was adopted despite criticism from European Union institutions and the Venice Commission. The Croatian Defence Ministry said on Thursday that it has sent requests for proposals for the purchase of multi-purpose fighter jets to South Korea (for FA-50 jets), Sweden (for Gripen JAS-39 jets), the US, Greece and Israel (all for F-16 jets). The countries have 75 days to send their proposals and then Zagreb will spend an additional few months deciding which to accept.